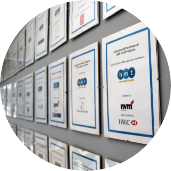 HMT is the leading transactional team in the Thames Valley with expertise in all aspects of corporate finance transactions, supporting ambitious entrepreneurs, creating, building and realising value. Buying a company, raising funds for the next stage of growth and selling a business are big decisions for business owners both to ensure that the best deal is negotiated and that right advice is taken at the right time. We advise businesses and institutions on all aspects of corporate finance services which includes complete buy-side and sell-side advisory from inception to researching targets or acquirers, marketing, producing financial models, advising shareholders, finding funding options, negotiating the transaction, building a tax efficient structure, through to successful deal completion. Within corporate finance, we have a specialist technology team. Our corporate finance lead advisory team has a proven track record of completing over 500 transactions in the past 25 years with an aggregate value in excess of £5 billion. 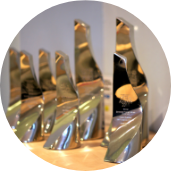 We have won either (or both) Corporate Finance Advisor of the Year or Deal of the Year at the Thames Valley Deal Awards each year since its inception.